This simple cloak will go with any period outfit. 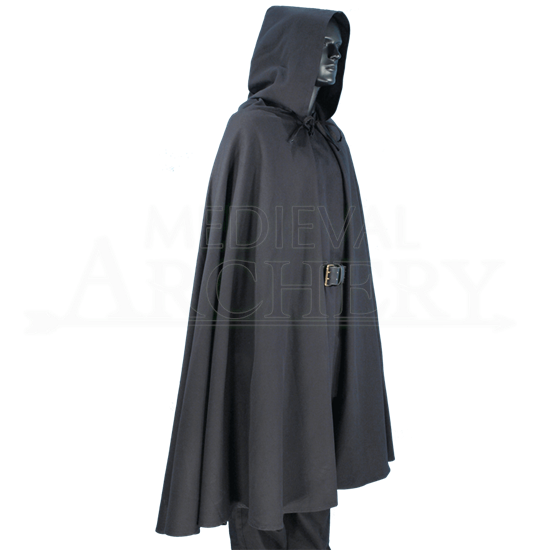 Offering a versatile look, it suits well medieval styles that can be worn during reenactments and fairs, allowing you to easily add an extra layer to your ensemble. 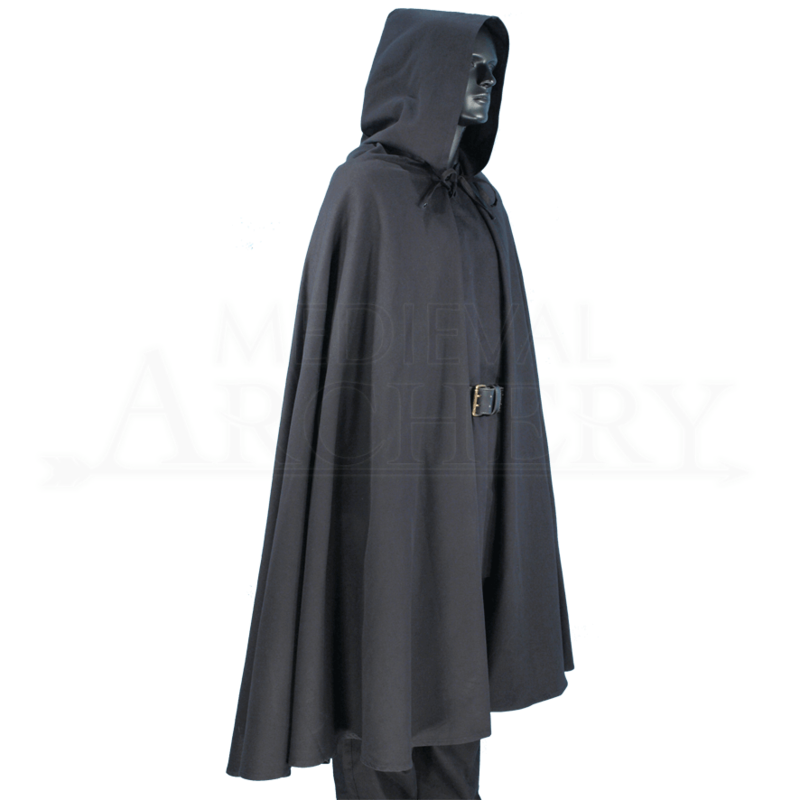 The cloak features a full hood and ties at the neck. It can easily be worn by both men and women. The cloak is made from cotton and is unlined. It is available in black, allowing it to easily go with a variety of color schemes. Please be aware that this cloak is no longer available in brown or green.